We may have said goodbye to the Derry Girls last night, but not for long. Channel 4 tweeted after the season 2 finale to confirm another batch of episodes is on the way. 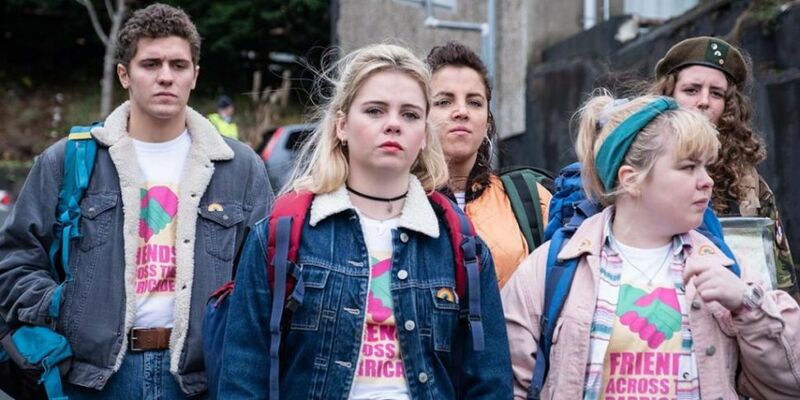 The tweet read, 'That might be the end for series 2 of #DerryGirls, but don't worry it will be returning for series 3! The news has been met with delight from fans of Claire, Michelle, Erin, Orla and James. In addition writer and creator Lisa McGee said she's thrilled that everyone's favourite "eejits" will return. "I love writing this show and I'm so thrilled to be able to continue the Derry Girls story," said McGee. "Thank you Channel 4, Erin and the eejits live to fight another day!" Speaking on the news of season 3 Channel 4's director of programmes Ian Katz said, "At a time of great uncertainty about the future of the country thank God we have one unequivocally good piece of news to look forward to: the Derry Girls will be back to make our lives a bit brighter and more fun." While head of comedy Fiona McDermott said, "It's no surprise that Derry Girls continues to delight a growing legion of fans." "A combination of magical writing and adorable characters make this show both timely and timeless. "We're delighted to confirm a third series. Don't tell Ma Mary, but I'm breaking open the Christmas cupboard in celebration." We can hopefully expect Derry Girls season 3 sometime next year.